My son and his friend were out in my Vibe and did something to the sunroof and now it doesn't close all the way. From the open position (which isn't completely open), it closes half way to the stop point, and when I hit close a second time, it goes until about 3 inches from the end, starts to lift up, but stops. Does anyone have any suggestions on where to start. I don't know if this will help, but the sunshade will not open beyond where the sunroof is open to. Welcome to genvibe.I think it's normal for the shade to only open as far as the glass is openI'd look to see if they might have left something in the mechanism, or the tracksIt could be possible they stripped something. When it gets to point whree it stops, does it sound like the motor is still trying or does it just stop? What year Vibe is it? Ok, point taken. It is a 2003, and my in-laws owned it before me, and I can't say it has ever been opened recently, before this. Since it opens and closed (just not all the way), I am thinking your "out of time" is the most likely cause. If you have a picture on how to remove the headliner, that sounds like the place to start. Thanks. One more piece of information that may/may not help. I found this part in the front right drain hole. The m&m is for size reference and luckily it wasn't found in the area. It is made of rubber. Is the sunshade moving with the Roof?? That Will prevent full closing.If it is moving with the roof, open the roof all the way, then push the cover all the way back as far as it will go freely, then try to work it back pass the glass panel. They may have closed the sun panel with the roof open, you shouldn't do that. Excellent call. The sunshade is on the wrong side of the equation. Simply wiggling isn't working. Is there anything in the manual that might be helpful? Maybe take out the domelight, so I can stick my hand back there? So the shade is in the open section of the roof and not covering the glass portion of the sunroof then. Yep thats the issue. I'm trying to remember how the shade is attached to the sunroof. I can't remember right now thoughthe shade is attached to the sunroof and if you can figure out a way to get it back in the spot where it only covers the glass portion then it sounds like that would resolve your issue. the rubber piece you posted looks like one of the shade stops that would be on the track. Instructions for removing headliner can be found here:http://forums.genvibe.com/zerothread?id=4600Good luck! Getting the shade out isn't that bad of a job, you just have to take off a lot of crap to get to it. Once the headliner is dropped down, you'll be able to remove the shade and hopefully (if it isn't too bent up) get it back on the track and reinstall. To get the shade off, remove the stops at the rear of the track for the sunshade which are held on by one philips screw in each. You'll need a very low clearance screwdriver to go between the track and the roof (I used those L-shaped screwdrivers to break it loose and took the screws the rest of the way out using a philips bit.) Once those are out, if you can get the shade to slide all the way back you can remove it. Mine now operates exactly as yours. What I was trying to say (poorly), is that if the rubber stop isn't in the track, the sunshade can go further forward then its designed to. When this happens, the shade doesn't get pushed back with the glass, and it ends up on the wrong side. The only thing in this fine design between staying on the right side and the wrong appears to be a tiny rubber part jammed in the shades track. about repairing the moonroof, or what type of mechanic I should take it too, would be very helpful. This just happened to me, and like others here, I panicked, and luckily I was able to fix it. I can describe exactly what led to it happening and how I fixed it -- hopefully anyone else with the same problem can benefit. the setup: Not sure how important this part was, but someone had slammed close the inner roof while the outer roof was open, which I didn't even know was not supposed to happen. This makes sense in hindsight, since you might forget about the outer roof being open when you close the inner one, and then rain could damage it. Anyway, a bunch of sunlight suddenly poured in and my passenger freaked out and slammed the inner roof shut, popping some catch flanges onto the wrong side of a cross-member stopper on the inside between the two sun-roofs. Anyway, I could tell that the bar was supposed to be *in front* of the flange because they had little foam pads glued onto their face so that when you slide the inner roof closed, it should soften the hit of the flange against the cross-member. 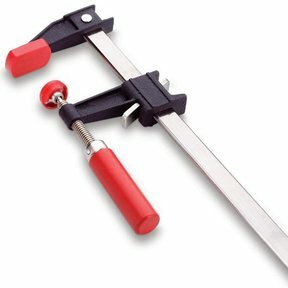 So in case imgur ever gets rid of this image, it's one of those woodworking clamps that slide along a long thin flat steel rod. Anyway, these things were perfect. I needed two of them, and I was able to slide them in on their flat side between the two roofs, rest them next to the flanges, and then when I rotated them 90 degrees to be upright, it made the cross-member that the flanges were running into push upward, and i was able to finally push the inner sunroof back it's last final bit behind the cross-member, and then I rotated the clamp bars back flat and removed them. Voila. Thank you very much for the information! Hopefully it helps someone. My inner sunroof just goes 'gloing' when I open and close it, as something is catching - but it doesn't interfere with the outer sunroof at all. (moonroof). Frankly, I'd have preferred to get a vibe without a moon roof, but that's what it came with.